Imagine: it is a Friday evening in London, you have your friend’s 30th birthday party tomorrow in Exeter, you need to pack your costume for the 80s theme and you have this little niggle in the corner of your head that your period STILL hasn’t come along. Ummm. I’m just being paranoid. It’ll be here. It’s just taking its merry time this month. As I had a sip of my Pinot I looked at the golden liquid and thought…maybe I should take one little test just to be sure…?? Oh. My. God. I am actually going to take a test. I took a deep breath and said to Pete: love, I think I should take a pregnancy test, I wont be pregnant, but just to be sure as we’re partying tomorrow night. As the panic started to set across his face I slowly opened the little white stick and went to the loo. My Pregnancy Story: Isn’t the human body incredible? I cant believe how much my body changed throughout the 8 months. I thought I would be in and out in under a minute. However, once I unravelled the epic manual aka the instructions (HOW can there be so many instructions to basically pee on a stick?) I sat and waited for the results to show. Hurry up I thought, so I can get back to my wine. 10 seconds…nothing. 15 seconds…nothing. 20 seconds…nothing. My breathing started to become shallow as I waited for what felt like forever for the results to appear. I rubbed my eyes and looked at the test again. Pregnant. Pregnant, pregnant, pregnant. WHAT???? I opened the bathroom door and shouted for Pete. He could hear the panic in my voice and looked at me. ‘You’re joking?’. The test does not lie. Trembling, I searched through the instructions to see how accurate these tests actually were. If you have a ‘pregnant’ reading, it’s basically over 99% certain. Oh. My. Goodness. Pete actually jumped with joy, he was so excited by the news. If I’m honest I did not. I slid down the bathroom door, looking longingly at my cold, crisp glass of wine and begrudgingly passed it over to Pete to drink (he drank it in one…) I sat there for a few minutes in silence. ‘Aren’t you excited?’ Pete asked. I didn’t know. All I could think about was that there was a living thing inside of me and my body was about to change. I was now home to a little tiny human. Am I healthy enough? Was that sip of wine I had only a few moments ago going to do any harm? Have I eaten enough vegetables? I haven’t taken any folic acid, is that going to matter? My mind went out of control. As I was staying at my friend’s house over that weekend, I called her (three pregnancy tests later…I just wanted to be extra sure…) to tell her the news. I had to tell someone else I was definitely not going to survive over the next couple of days. Again, like Pete, she was much more excited than I was at that moment in time. ‘Don’t worry, you can drink tonic water without the gin’ she reassured me. Sounds great. Tonic without gin. Whoop. Ummm…I guess it was something I was going to have to get used to. I felt like Miss Marple, slyly going to the bar to order a soft drink without anyone noticing (I had never experienced an alcohol-free trip to the pub before. I could now see why). All I could think about was the fact that there was a little fairy growing inside me. It made me permanently distracted. I couldn’t quite focus on anything. EEEEK we’re having a baby..?! Now, I don’t know about you, but the first trimester feels like FOREVER… Waiting for week 12 to have your scan to confirm that you actually do have a little person inside of you is almost too much to bare! Also you have to hide the fact that you are feeling hideously nauseous and hungry all of the time. I was already starting to show too which made things even harder. Thank goodness for long scarfs and floaty tops. Fast forward to week 8, we decided to pay for an early scan as I was meant to be travelling to France to help on a school residential, so I just wanted to make sure that everything was ok. Personally, it was the best £90 we have ever spent. The place was quiet, calm, the staff were lovely and it was extremely spacious. I felt at ease. ‘Mrs F, you can come through now’. Gulp. Here we go. …huh? Our baby has two hearts?? I don’t u’nderstand. TWINS????????? Sorry, could you repeat that please? Do you mean two babies? As in one, two? TWO BABIES???! Pete went brighter than a tomato and almost fainted from the shock. I burst into fits of laughter and then could not stop giggling for the rest of the scan. There were two little heartbeats. Two little sacs. Two individual babies growing inside me. I cannot even begin to describe what a feeling that was. But finally, I felt joy. I think it was because it was finally real. It was really happening. Pete and I were going to be parents. But not to one baby, to TWO. Wow. Mother nature, you really had us. I still felt like a teenager and now I was going to be responsible for two tiny humans in a few months time. Wow. Just wow. How does this compare to your pregnancy story? I’d love to hear how you found out you were expecting your bundle (or bundles!) of joy. 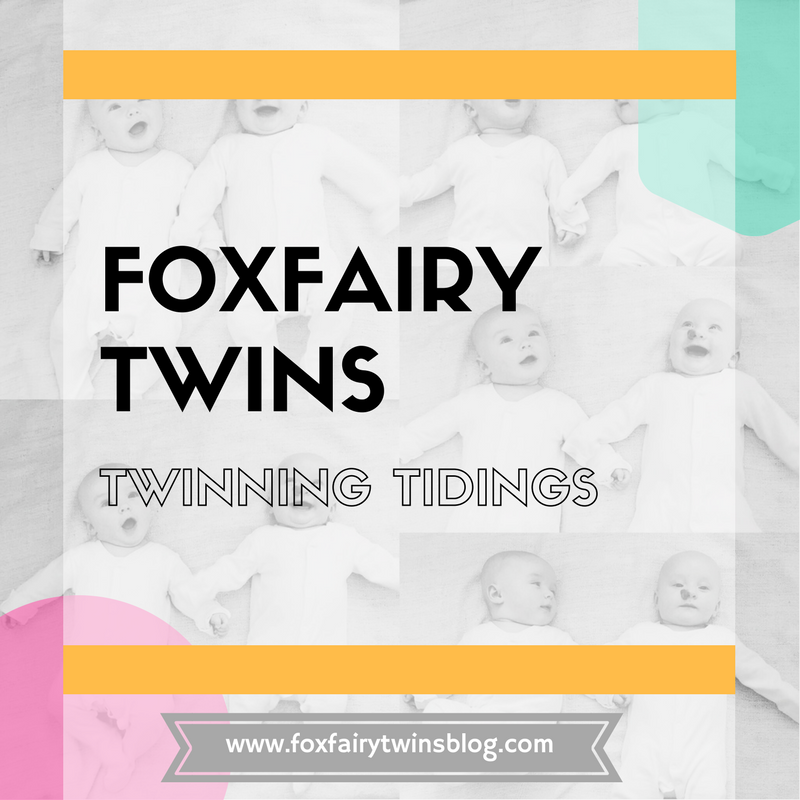 This entry was posted in Monday Musings (Tales from a Twin Mumma), Pregnancy and tagged parent advice, pregnancy story, twin bump, twin pregnancy, twin pregnancy story. Bookmark the permalink. Oh what a lovely story! I can only imagine the feeling of finding out you were carrying twins!! So wonderful! Much the same as you, I just had a niggling feeling. We’d had our best friends wedding a few days before and I had drunk a lot but couldn’t seem to get drunk and just didn’t feel right and I wasn’t late so waited a few days. My husband went off to work and I had a couple of cheap tests in the cupboard, I thought I’d just get it out of my mind as we were due out that evening. Naughtily, I did the test without my husband, something he is still unhappy about! There is no denying a positive test is there, I sat there shaking in absolute disbelief and goodled ‘positive pregnancy tests’ (good old Dr Google) then I paced the lounge a few times and called my husband and said ‘I think I’m pregnant’ he got home soooo quickly! I then did a digital test which said 2-3 weeks pregnant, I handed it straight to my husband and we just couldn’t believe it, I think we were in shock as we shook hands?! Then just like you, panic set in, I’d had soooo much to drink at our friends wedding and I’d eaten cured meats and OMG what was I going to do tonight! I lost my job 2 weeks before I found out I was pregnant and had said to my friends I needed a good night out to get drunk and then had to come up with some awful excuse about being on antibiotics, they saw straight through me of course but we’d only known a few hours! I like you couldn’t concentrate on anything other than this tiny little grain of rice in my tummy! We had a family holiday pre-booked to Mallorca with my mum & dad, my sister, brother in law and their 9 month old baby boy, my sister was also 16 weeks pregnant at the time so I was even more excited that our babies would be so close in age!! When we arrived in Mallorca I was about 8 weeks pregnant and I was so anxious to tell them but, my sister and brother in law had had a silly argument and the time wasn’t right so I lay awake all night desperate to tell them! Next morning at breakfast I just had to say it ‘How do you feel about having 3 babies out here next year?’ everyone looked at me like I was crazy but I think they could tell we were serious and then we all started to cry ha! I’m almost 34 weeks now and it feels like time has gone so fast! Will I ever feel ready!